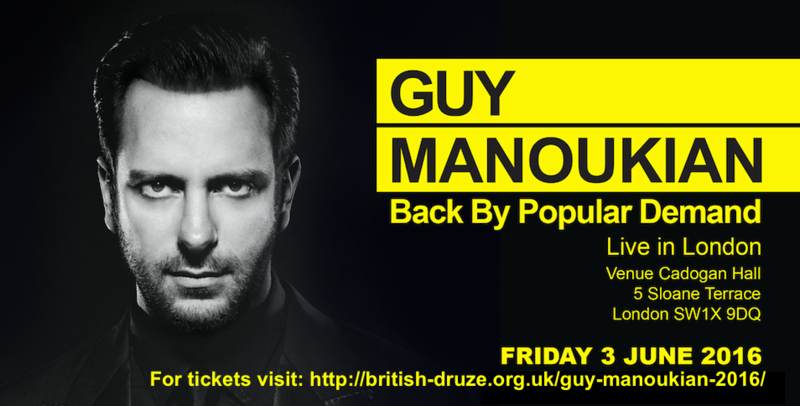 We are pleased to announce that the BDS charity has secured tickets at a discounted rate for our members for Guy Manoukian’s upcoming event on the 3rd of June 2016. 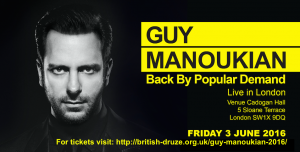 Please join us in attending the amazing event by the talented Guy Manoukian who will be performing his newest hits for 2016 and also some of his most popular and greatest musical compositions. The opening evening will also feature the music of Dana Al Fardan of the fist time in London, performed by artist from The Peace and Prosperity Trust. This event is brought to you by the British Lebanese Association and AM Ventures. We can arrange free personal delivery for bulk purchase over 5 tickets. Please see the seating plan below for our reserved rows. Proceeds from the ticket sales will go towards our charity. 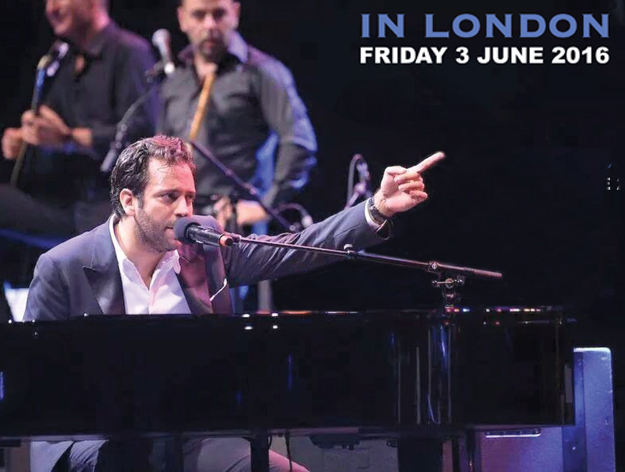 Lebanese musician, composer and pianist, Guy Manoukian has been a key musical player on the international scene for over a decade. 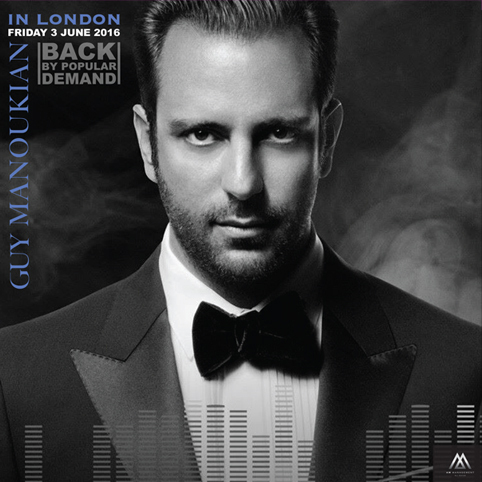 In that time his fusion of oriental themes with modern arrangements has taken him all over the world, selling out concerts in Singapore, Cairo, Dubai, Los Angeles, Yerevan, Beirut & Sydney (the Opera House) and in the US where he has worked with the biggest names in the industry.Guy Manoukian started playing classical piano at the age of four. He appeared on television when he was six years old and a year later he performed at the Presidential Palace in Lebanon. He started composing music at the age of seven, winning the first competition he entered. Date: Friday 3 June 2016, Time: Doors open, 19:00. For BDS members only !!! An excellent marketing opportunity for your business brand. Do you own a business? Would you like to advertise the business on the day of the event? British Druze Society management team.